All women want healthier, shinier and beautiful hair. For some people, healthy, lustrous locks represent ageless beauty, while for others, it is a sign of good health. The reasons behind why people admire shiny, long hair so much may vary depending on whom you ask, but everyone agrees on the fact that it is good for one to maintain strong, lustrous, manageable and shiny hair. While hair growth oils are not as common, they have been in use for several decades, perhaps centuries. Hair growth oils that are made out of natural ingredients are proven to revitalize and nourish the strands and the scalp. One thing that should be noted is that our scalps are capable of producing oil in order to nourish and protect the hair and to keep them healthy and strong. Nevertheless, if we wash our hair on a daily basis, we are actually stripping our hair off the natural oils that our scalp produces which results in numerous scalp and hair problems; for instance scalp itchiness, hair loss, dryness, brittleness and dandruff production. A large number of people still choose to wash their hair on a daily basis even when they know that stripping the hair of its natural oil is not good for the overall health of the scalp and the strands. Most people do it for hygienic reasons while some do it to remove the hair products buildup like gels, sprays and hair wax. Even though it is true that washing your hair makes you feel refreshed, you should always try not to wash it daily as it may result in complications that you might not want to deal with as your hair and scalp are in their healthiest state in the presence of natural oils produced by your body. If you are one of those people who cannot get rid of their habit of washing their hair daily, hair growth oil is for you. Hair growth oils are made out of natural ingredients and they can serve as a substitute to the natural oil that has been stripped off of your hair and scalp while shampooing and washing. 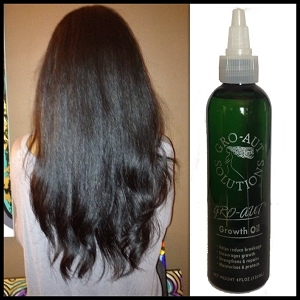 Hair growth oil is very advantageous as it keeps the hair and scalp moisturized. Normally, the best way to use hair growth oil is gently massaging it on the scalp and applying it directly on the hair. One can leave the hair growth oil in their hair overnight and can also apply it a few minutes before going for a shower. Some also choose to leave the hair growth oil in their hair, which is considered fine as long as you are not using a large amount of it as it will leave your hair looking greasy instead of shiny. Washing the hair growth oil after gently massaging it into the scalp is deemed to be more effective than just leaving it on but even if you are planning to leave it on for a longer time period always apply a small amount of it. Ms. Webb Thank you for commenting on our blog post. 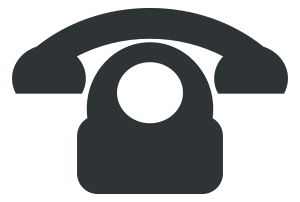 We have sent you an email to answer your question. Please check your inbox. Happy growing!